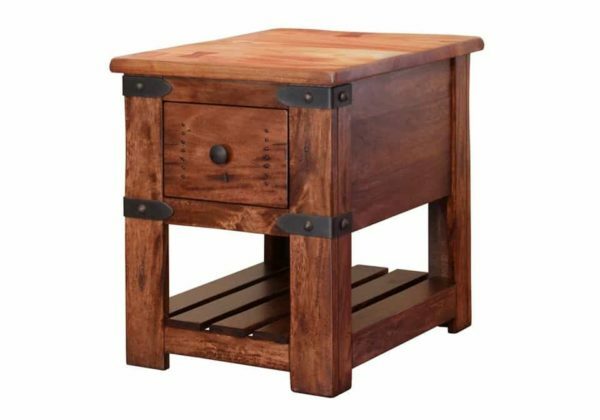 Crafted of solid Parota wood, this end table offers warm rustic style. 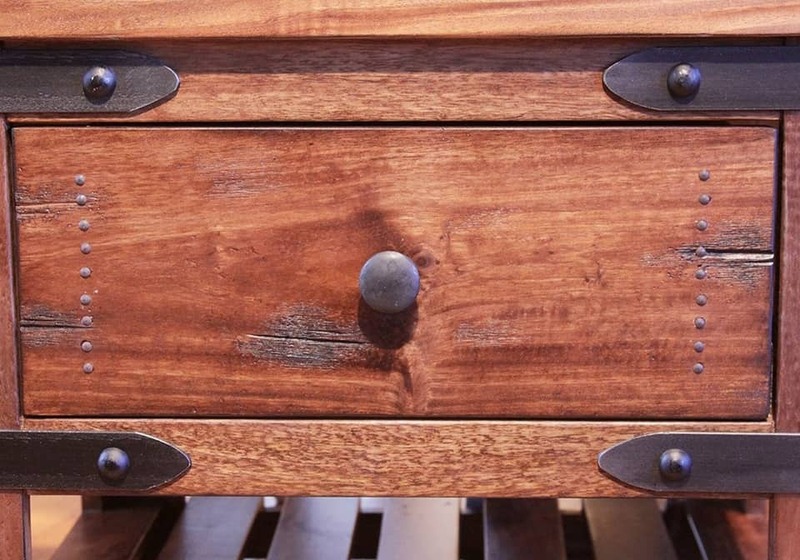 The piece features one drawer and one shelf for simple storage, while iron brackets provide industrial character. Block legs and clean lines pair with the natural beauty of the wood to complete this versatile rustic table.